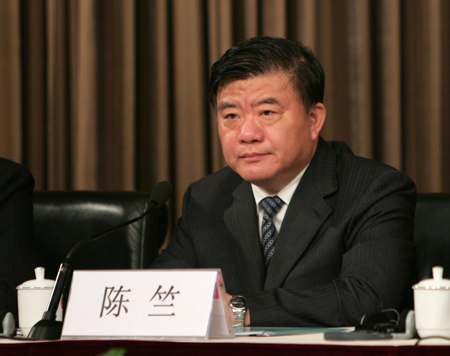 Minister of Health Chen Zhu was elected chairman of the Central Committee of the Chinese Peasants and Workers Democratic Party (CPWDP) on Monday. The decision was announced after the CPWDP, a non-communist political party with about 125,600 members, concluded its five-day 15th National Congress on the same day. Chen, 59, a French-trained scientist, was appointed as the country's minister of health in June 2007 when he had no political party affiliation. The CPWDP was founded in August 1930 in Shanghai and mainly comprises leading intellectuals in the fields of health care, population resources and ecological protection. It is one of eight non-communist parties in China that participate in state affairs under the leadership of the Communist Party of China (CPC).